Be happy with Happy Fox! Welcome to the Happy Fox family. At Happy Fox we want to give you unique nature experiences and make your holiday superb. Happy Fox is family company situated at Rovaniemi, Arctic Circle by Ounasjoki River. To be in the nature and be a part of it, have always been our way of life. This experience we like to share with you. 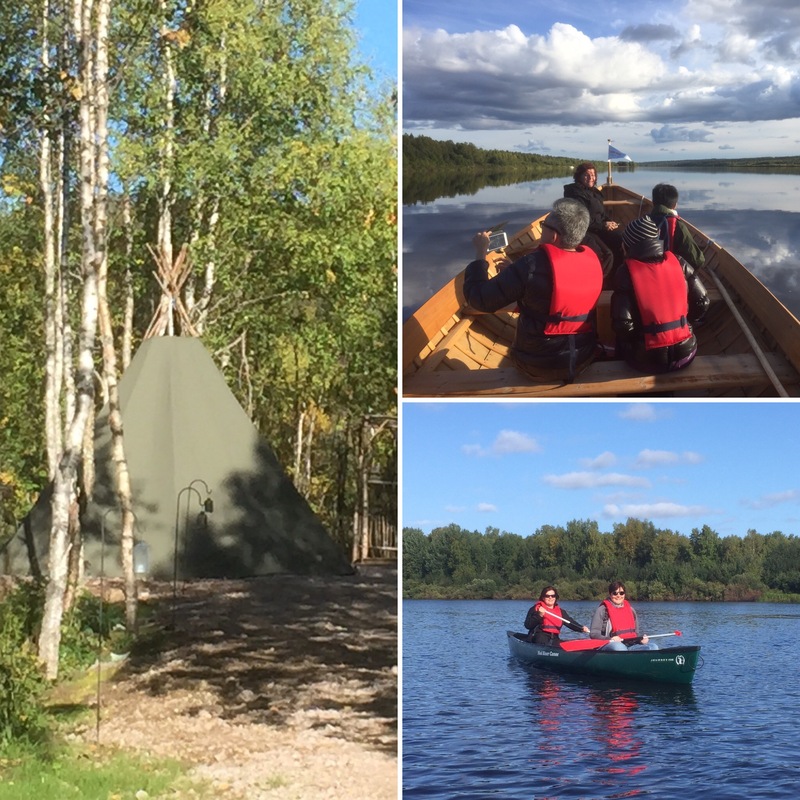 We are focused on small groups, personal service and a wonderful time together surrounded by pure northern nature. When you are with us, you are part of the family. So when you are happy The Fox is Happy! Happy Fox ranch is situated by wild running Ounasjoki River. At our ranch you can spent a day of your life surrounded by pure Lappish forest nature, away from rush and noise! And we are only about 15 minute drive from Rovaniemi center. We offer nature experiences for all the seasons. At summer you can be a treasure hunter and try traditional gold panning and hear about Lapland gold and the tales and legends about it. 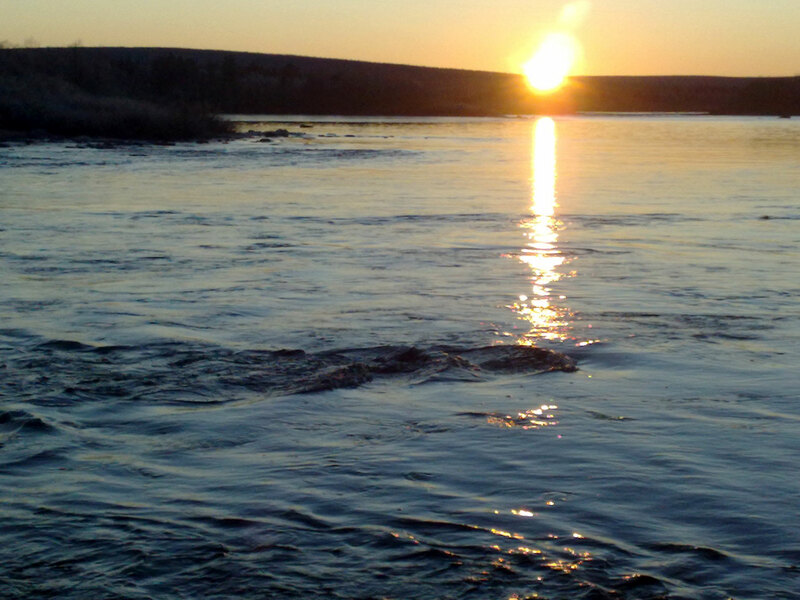 Our canoe trips and river boat trips takes you to a beautiful river nature. You can visit our magical forest at any season, to learn about northern nature, plants and herbs and the life and animals of the forest. You get knowledge of healing powers of the forest and its natural herbs and have an opportunity to follow the making of “nature`s own medicine “. At summer you can pick berries and taste them straight from bush or if you fancy mushrooms you can pick them and we can make delicious snack out of them in an open fire. At autumn, northern nature shows all the beautiful colors when it is time of Ruska. It is great time for all kind of outdoor activities in the nature. The river sided and the forest is filled with all the shades of yellow, orange and red and forest berries and mushrooms are pipe and ready to pick. 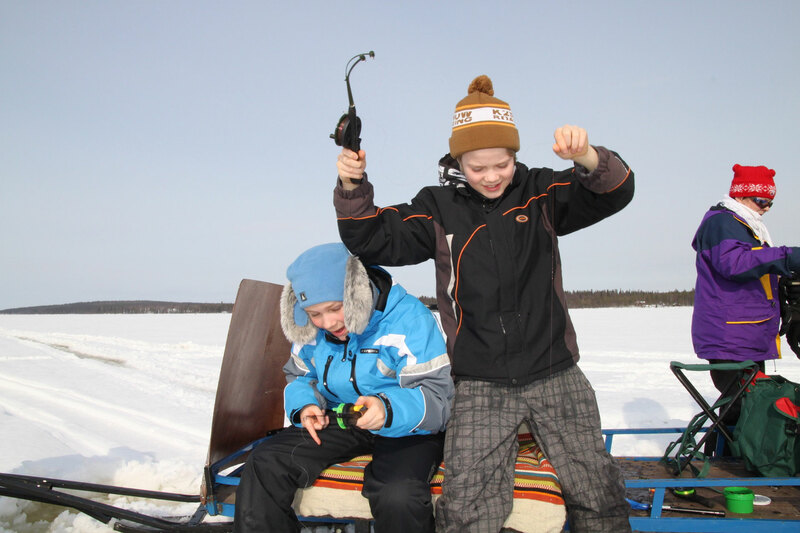 At winter you admire beauty and peace of winter forest or you can have a day full of fun playing in snow and trying traditional winter activities and experience ice fishing trip. You can try also aurora hunting experiences by open fire or at sledge trip on ice of Ounasjoki River. 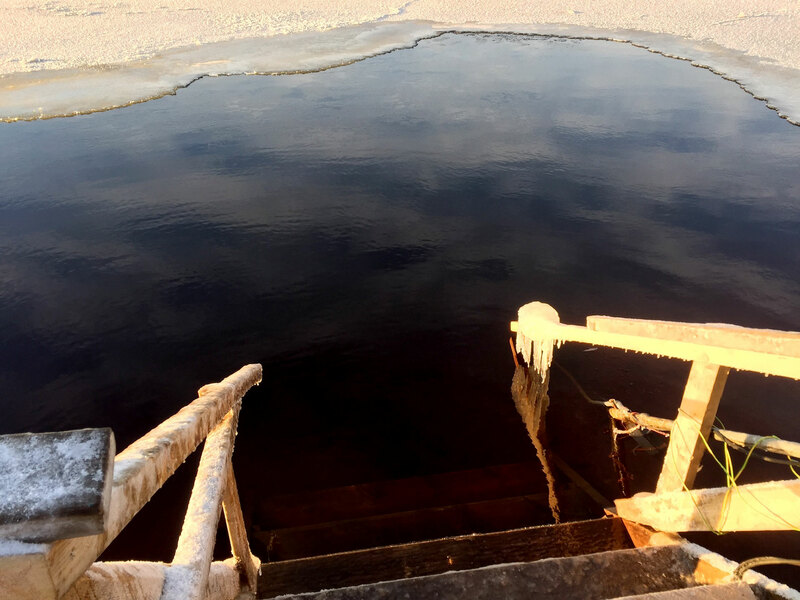 You can experience sauna and swimming in Ounasjoki River also at winter when you have an opportunity to extreme experience of invigorating ice swimming and after wards relax in the heat of the sauna. You can try barrel sauna on ice and ice swimming or out traditional wooden sauna at Fox Cottage. 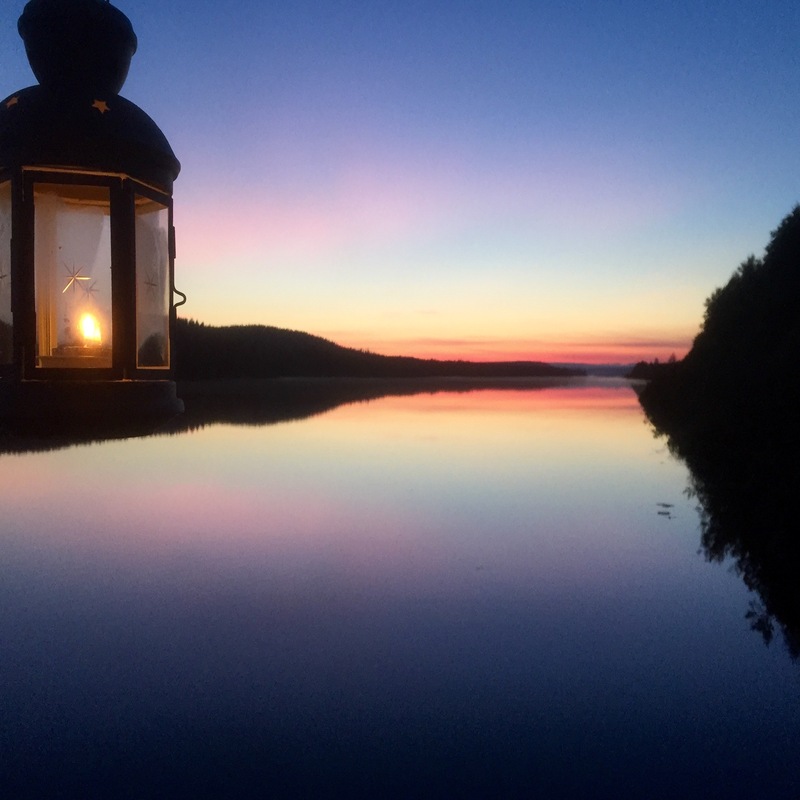 At summer it is worth to try our floating barrel sauna and invigoration swim in Ounasjoki river. Our sauna and outdoor hot tub is welcoming you to have relaxing moments with your friends at any season. You can also try herbal spa for your hands or feet. At our outdoor hot tub you can enjoy surrounding forest nature at summer in the light of never setting sun. At winter you are surrounded by snowy forest under the starlight sky and if you are lucky, maybe the Fox show you the Northern lights. We are all waiting for Christmas. At our ranch you could experience traditional Finnish Christmas or the excitement of waiting for Christmas to come. Find the spirit of traditional Finnish Christmas with us. Do you know the legend about Northern Lights and that they are called Revontulet in Finnish? That means Fox Fire. At far north where hills are covered by snow and rivers are frozen, lives magical creature the gigantic Firefox Tulikko. It is told that the one who catches the Firefox will get all the wealth, power and happiness for the rest of his life. Just a glimpse of the Firefox would be a good omen. But Tulikko is hard to catch. 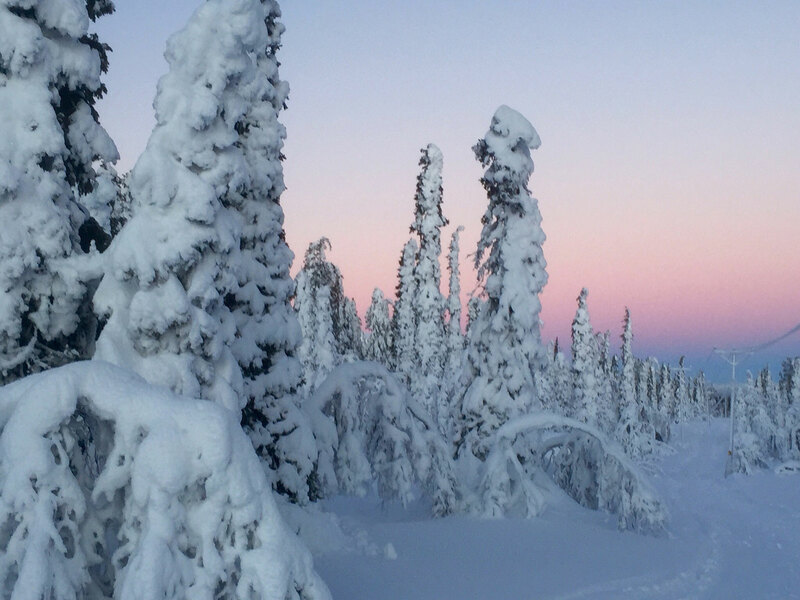 It is running wild across Lapland and once in a while its fur and tail touches snow and snowy hills sending magical sparkles up to the northern sky. And this is how Northern Lights are born.